The first ever game in the franchise was an unexpected smash-hit, sealing the deal with some fast-paced game-play that was never seen before in any sort of game, in the form of five-second, bite-sized challenges. Crush! Dodge! Dance! Deduce! Slice! Each of Wario's goofy and loveable friends settled on a different theme for their games, such as sports with the disco-fanatic Jimmy T., or IQ for the super-intelligent alien Orbulon. Meanwhile, Wario settled with the sample stage and the final one with a collection of tough, Wario-themed games. The controls are as simple as mashing the directional and A buttons. Alongside the 200+ micro-games available spread across various stages, as well as remix stages that combined games and cranked the difficulty or speed up early on, are unlockable mini-games. These are quintessentially extended versions of micro-games, such as steering a paper aeroplane through a slalom and even a Wario-themed clone of the classic puzzle game Dr. Mario. Most of these are great distractions from the main game, whilst others may amuse you for as long as a few minutes. The reward for unlocking every game was the half-decent, bean-eating side-scroller Pyoro, where a red bird with a stretchy tongue would have to eat falling beans before they destroy the ground below. Getting a high-score on each and every micro-game unlocked a similar game that required shooting the beans with seeds. Not bad, but not a great prize. Admittedly, some of the games looked and played familiar to others. For instance, there are three button-mashing games that require destroying or eating fruit. Yet, on the whole, WarioWare Inc.: Minigame Mania still stands tall as a fresh but tough game with some impressive graphics, simple controls, great tunes and sounds, challenging games and oodles of replayability. It may have been the first in the series, but it's still one awesome game to this day. Not long after, a party-game spin-off for the GameCube came out. It had the same micro-games as before, except with plenty more multiplayer games for groups of 2-16 players to challenge one another at. More powerful hardware meant better graphics and goofier cutscenes to marvel at as well. All of the WarioWare team are playable characters in these party games, too. These included a survival mode with limited lives; inflating a balloon to bursting-point whilst others tried their luck with the micro-games; a co-operative mode where players must shine lights on a pitch-black screen whilst someone plays games; distracting other players by walking around on the micro-game's screen by taunting; and more. One mode requires passing the controller between a maximum of sixteen players to see who can win most games! The other choices are pretty much for four players. There are oodles of games to choose from, most of which are very creative and solid in quality. Single player mode was still an option here. Some new modes were added at the expense of most of the unlockable mini-games from the previous one (the rope-jumping and paper plane slalom mini-games are all available for multiplayer, however). There is a time-attack mode, as well as a game that throws every game back-to-back in one sitting. It's the reward for getting a high-score on every single micro-game, meaning it's a lot better than those offered in WarioWare: Minigame Mania. Whether playing solo or with friends, there are plenty of things available to keep you entertained, even if there are no new micro-games to try out. This Game Boy Advance game never made it to Europe, which was incredibly disappointing. WarioWare: Twisted had a built-in gyro sensor, which was a new and innovative way of playing the game because it required the console to be tilted left and right to play. The A button had to be pressed as well. In the opening, Wario's broken GBA is upgraded to a motion-controlled version, and he begins mass-producing it to make himself as rich as possible. Most stages don't have a theme like before. Instead, they have different play-styles. Some games require the GBA to be tilted with small tilts, others with big spins. One stage only just needs the A button to be pressed. Some stages are unique, for not only do they have a themed stage, but every playstyle you have come across will be required to beat them, such as the old-school 9-Volt and his assortment of Nintendo-themed micro-games. Jimmy T.'s relatives appear with a remix stage, throwing a collection of micro-games and stepping up the difficulty to add to the challenge, while a few of Wario's stages have a time-limit rather than lives, where it can get very tense and exciting. WarioWare: Twisted has the biggest collection of micro-games in the entire series as well - 223 to be exact! Even if the music and graphics were similar to those in the first game, WarioWare: Twisted offered so much more. Music records, surreal micro-games, play-styles, you name it. The new control scheme was no gimmick; it was a innovative way of picking more noses, smashing more houses and other goofy scenarios. Definitely give this one a spin if you're lucky enough to get your hands on it. Later that same year, Wario made his way to the DS, and with two screens he would make DOUBLE the money! In this game, touching, rubbing, swiping and doodling on the touch screen with the stylus was the way to win. Some even required blowing into the microphone, which was an unexpected but welcome twist. The second screen was used often, whether it was part of a game (i.e. Match the image below with the correct one above) or just posting a reminder on what to do. The graphics are a notable improvement over before, for not only are noses, cars and the like more detailed, but there are even three-dimensional objects like melons to slice or a Game Boy Advance SP to fiddle with. Nevertheless, games will often have different appearances to them, from 8-bit pixels to realistic images. Similar to the previous game, there are a handful of unlockable items, though not nearly as many as before, ranging from records to bonus games. These can be unlocked by completing stages; getting high-scores on the mini-games will unlock even more goodies. Once again, the toughest unlockable to get, 'Whistle a Tune', requires high-scores on every micro-game. Considering how rubbish whilstling a tune is, only to have the DS typically muck it up, it's simply not worth it. Strangely, there are no stages for either Orbulon or the cabbie-duo Dribble and Spitz. Instead, Jimmy T.'s brother and sister appear to host two remix stages, and a lonely but bitter teenage witch named Ashley and her cheery devil-friend Red make their début on their very own stage (with a great song alongside it!). As usual, there are bonus stages for completing the game which, for example, throw all the micro-games together, boost the speed, and raise the difficulty with one life available. Despite being a bit lacking with the bonus goodies, WarioWare: Twisted still holds up well as a great DS game that makes use of the two screens very well. The sounds are slightly higher in quality than before, and the inclusion of 3D-graphics are a nice touch, but there are only 180 games compared to before, making this one quite a bit quicker to complete than the previous games. "It's a-Wii, Wario!" With the power of motion controls, WarioWare: Smooth Moves was an all-new kind of game that got players moving more than just their hands or styluses. The 204 micro-games require different play-styles, otherwise known as 'forms', which are explained in absurd ways by a man with a soothing yet funny voice. After having his snacks stolen by strange creatures, Wario chases them and stumbles across a Wii Remote, called the 'Form Baton' in the game. Noticing how it makes his body move in strange ways (i.e. Through his micro-games), he makes a profit by teaching his friends the power of the mysterious item. Wario's chums have chosen a selection of their favourite forms, some of which are not in other stages. A select few are talented enough to know all of them in their stage, whilst the lone dancer Jimmy T. (and a suspiciously familiar-looking dancer called Jimmy P.) host remix stages with various games thrown together with a slightly higher difficulty. There's plenty to do and replay over and over. Ranging from simple forms like The Remote Control (hold the controller like a TV remote) to more complicated ones like The Chauffer (grip the two ends of the controller like a steering wheel), these games require the player to shoot, twist, swing, duck, punch and even dance their way to victory. These appear moments before each micro-game. There are even three different forms when the Nunchauk is connected, but that's only a for specific stage and certain multiplayer games. After boss stages, there will be pose cards, which require the player to copy the humorous poses on-screen. This makes for an excellent party game, or just as a bit of fun exercise. There are eight bonus games to unlock alongside, all of which have great amounts of replay value, such as fifty levels of balancing blocks and shooting oodles of cans, bombs and rockets. Micro-games can't be played individually for high scores, since instead they can be practised in the Temple of Form. As usual, there are four skyscrapers which throw together the games unlocked with slight tweaks, like higher speed or difficulty, one of which removes the cards being shown before each game! Even the loopy Dr. Crygor and his robotic friend Mike has a stage that measures how many 'Kelocries' you are burning in order to slim down your Mii. Problem is, the multiplayer games must be unlocked by beating the game, so before inviting some friends around for some competition, make sure you beat the final stage! Once again, the games are goofy, hilarious, and great fun to play. Whilst the Wii Remote sensor can play up during rare times - usually because you might not have placed the TV sensor on correctly - it remains a very versatile piece of kit that can be swung and twirled with ease. 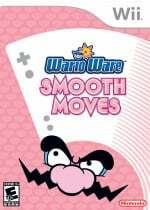 Alongside the various different art styles for each game and the nice little tunes that play, WarioWare: Smooth Moves is a classic that will make you wave your arms and spin your body like a goofball, but you'll be enjoying it so much that you won't give a care! Lights! Camera! Erm...where's the action? WarioWare: Snapped was more of a demo for the DSi and its built-in camera, as you can tell by its weedy 20 microgames, four stages, absense of boss battles and even a time limit for most games. Just place the console on a flat surface, and use your face and hands to complete the on-screen objectives. After the five games on each stage, it will share a slideshow of you waving your arms and head. In this, Wario's opened an amusement park and has invited his friends. And that's pretty much it. Nothing much else to say here, other than it's a bite-sized download rather than a full one, but even then the content is pretty thin. Not your best, Wario. Not your best at all. Build it yourself! Design it yourself! Play it yourself! DO IT YOURSELF! Dr. Crygor invented the MakerMatic 21, a device that could create games, music records and comics. For the first time ever, players could create their own micro-games, sell them in their own company and even share their creations with the world! Unlike WarioWare: Twisted, this DS game did not have micro-games that require dragging, rubbing or the like. Only tapping is required. On top of that, there are 95 pre-made games available and five themed stages to try out (characters like Ashley and 9-Volt do indeed return, but now they're working at a different company since Wario never bothered paying them). Now, this may seem like a big downgrade, but with the versatile ability to create your own games, who cares? Wario even approaches the player with an offer: pop in whenever and finish any of his sixteen games. All you need to do is draw something for the game, such as a monster to battle or a vegetable to pluck from the ground. It's a good way to start the game and get some sales. Creating games does seem quite daunting, but Dr. Crygor's granddaughter Penny is available to tutor the player (alongside a puzzled and short-tempered Wario) on the ins-and-outs of making basic games, as well as records and comics. A dojo can be unlocked, which will offer various scripting-based puzzles that require players to programme the game similar to the one based in the samples, thus offering invaluable information about how to make some great features in the game. In fact, any experienced micro-game maker would be able to turn their creation into a shoot-'em-up, a side-scroller, a puzzle...you name it. The pre-made game are diverse and have some excellent graphics as well. A wide assortment of stamps, colours, pens and the like are available to create the game's art. The learning curve is definitely noticeable with the game maker but there are plenty of resources to rely on. Comics and songs are a bit easier to make, but those with a talent for music or doodles will definitely prosper here. Whilst published games get sales, there's no in-game currency, unfortunately. Regardless, the next best thing to satisfy your hard work are medals. They have set criteria, ranging from making a certain amount of something or getting big scores on the micro-game blenders, and can be viewed in your studio. Completing certain medals will offer a random record. Some of them are near-impossible to get these days, since they require connecting to other DS and Wii consoles to transfer oodles of games to one another. The five ex-WarioWare Inc. Employees have created 18 themed records each, such as upbeat tunes for Ashley (ironically) and orchestral remixes for Mona. Not only that, but those who play the game at least once a day will get five new comics, right up to the 90 mark. They make for some great reading and listening experience. Thanks to the flexibility of the MakerMatic 21, WarioWare D.I.Y remains one of the greatest entries to the series. For quite some time after its release, the fans were creating endless amounts of clever and challenging micro-games and sharing them on the long-lasting weekly competitions, as well as YouTube videos. Thankfully, the pre-made content was already great to dabble over, and were even open for customizing and editing, be it stealing art or completely re-programming a game. And who ever said D.I.Y work was boring? This one was hinted about in WarioWare D.I.Y. In an in-game forum, where imaginary accounts shared tips, solutions and snarky comments. When purchased, it could connect wirelessly to the DS (with a copy of D.I.Y) to transfer content between the two. Aside from that, it offered more content and more ways to play! Unfortunately, there are no creation features with this one; all that is required is to point the Wii remote and press the A button. Simple. This stand-alone expansion pack has no grand plot, only small ones seen in the simply-animated (yet detailed and colourful) cut-scenes in the four themed stages available. 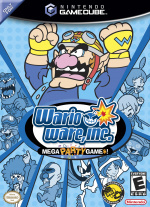 They feature 18 new games each, featuring Wario-Man and his other mates from WarioWare Inc. If you're up for some sci-fi games, the cabbie-duo Dribble and Spitz have you sorted. Nature games are what the pint-sized ninjas Kat and Ana bring to the table, whilst 9-Volt's freakishly tall friend 18-Volt has his own collection of old-school Nintendo games. And, of course, there are still oodles of fun Wario-themed games. Each have a new boss stage, as well. Once again, the art style, music and fun factor on the whole are just as strong as the previous games. Alongside this, there are eighteen new four-panel comics to read and eighteen extra songs. You can either play songs and let them flow naturally, or try out a game of Balloon Fight, except you must grab music notes for points and for those sounds to be played. It was an unexpected inclusion, but a darn fun one at that. And for those who needed more space for their own content, they could be placed into the 270 extra empty shelves! It even had a four-player versus mode, where players had to take in turns or try out all at once the pre-made or players' games. Cheeky players could sabotage one another's games by clicking on their screens to force them to botch. When the contests were running, sending and receiving games was an easy enough task. Sharing content with those on your friend list and offering a rating was even easier on this one as well. It was a decent game alone but an even greater experience when combined with WarioWare D.I.Y. And now we come to the end of the road. The final game of the series originally started off as a pre-installed game in the Wii U. This entry to the WarioWare series is a selection of mini-games for single and multiplayer use, similar to Nintendo Land with Wario's goofy sense of humour added to the mix. It was a mixed bag on release, and because of this the developers have decided to focus on other projects from now on. Unsurprisingly, Wario spots another chance at making big profits after discovering that a new console with a built-in screen on its controller is in the shops. He and his friends begin to work on some games for it once again. The usual cast of oddball-characters host the 12 available single-player stages, whilst four are available for 2-5 players. The sounds and tunes get the job done, whilst the various art styles gives everything a suitably unique appearance. The weaker games felt like extended versions of smartphone games, yet they lacked any solid replayability. These included the flying shoot-'em-up starring Ashley, Jimmy T.'s Ski slalom with randomly-generated tracks, and Young Cricket's dumpling-hunting Kung-Fu platformer. However, some of the stronger ones revolve around taking snapshots of individuals in crowds with Mona, stealing fruit as a second player searches for them in Penny's multi-player stage, and 9-Volt's twist on the previous WarioWare games, entitled Gamer. This is undoubtedly the most tense and exciting game of them all. 9-Volt must beat micro-games whilst feigning sleep as his strict mother patrols around his room and peeks in at times. Pretending to sleep for too long or losing all your lives results in a game over. Alternatively, you can try out the games with no fuss as 18-Volt. Just like in WarioWare: Twisted, there are oodles of souvenirs to unlock. Playing games will grant tokens, which can be spent on the Chick-N-Win (get it?) machine. As usual, there's many goofy toys to fiddle around with for a minute or two, goofy information cards, and 21 more games to unlock for the Gamer stage! It definitely gives players more of a reason to keep playing. Game and Wario may not have been Wario's finest hour, but it still offered some good content and a solid, if small, collection of games that more than one player can join in with as well. The GamePad is made good use of in each game, being used as a bow, slingshot, camera, or just something to doodle on. On the whole, while you shouldn't expect anything too grand, there's just enough goofiness for any player to thoroughly enjoy, be they a long-time fan or new to the series. The future of the WarioWare series seems uncertain. The next in the series may end up on the New 3DS or Nintendo NX, but Nintendo will really need to wow the fans next time around. The strongest bet may be another game in the vein of WarioWare D.I.Y game to get the community designing and sharing again on the New 3DS, with new features, content and the ability to offer content to players over Miiverse. Whatever the NX's control scheme, going back to the micro-game scheme of things rather than a collection of party-games sounds like the wisest idea, but how they'll reinvent the wheel for the series is yet to be seen. What would you like to see from a new WarioWare title? Let us know by posting a comment. I guess I had to comment here. Love this series. 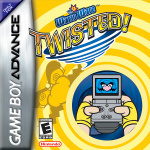 Really hope they can bring Twisted to the Wii U or 3DS. Wario Ware is such a great series. So silly, and so much fun. Wario shake dimension is a great wii game. Game and Wario is quite fun but some are weird. I think Game and Wario does a good job of showing off the gamepad and Wii U . I really think they should include it, Wii Party U, and NintendoLand as a family bundle for the Holidays with 1 Motion Plus controller. Smooth Moves is the best. I love that one so much. I actually ended up playing Pyoro more than even the Microgames. Wario is one of my favourite characters in all of Nintendom, alongside Samus and Kirby. I much prefer his classic look over the helmet and denim he sports in WarioWare, but I love him all the same. One of the best samples of his character was in the booklet for Wario World. All of his explanations for the different aspects of the game were just brimming with personality. And then there's Wario Land 4, with its expert animation adding to all the amusement. I never really got into these, but I loved Wario Land Twisted for the Wii and Wario World for gamecube. I guess I'm more into playing the platform adventure titles instead of the mini game goodness. Whatever they do next, I hope he finally wears his WarioLand clothes again. Yeah I enjoyed WarioWorld too. Pretty decent game. I've been waiting for a MotionPlus WarioWare game since the release of the accessory and sadly, it has yet to be realised. Game and Wario was a tremendous disappointment as it didn't take the series further, and may have even put off a few people considering just how bare the package was. The souvenirs in the game had some amusing concepts, but they were all mere novelties and were not incorporated into the gameplay at all. Game and Wario would have been a great opportunity to explore some asynchronous multiplayer concepts, but sadly, all controls were limited to the Gamepad. The whodunnit and Pictionary style activities also had the potential to be fantastic, but the arbitrary 5 player limit (why?!) were inexcusable for a hot seat/pass-and-play style game. This easily could have been one of the Wii U's sleeper hits and really showcased what the system is capable of to a small, but enthusiastic audience, but it just never lived up to its full potential. I keep wondering why there's no WarioWare on 3DS yet. The gyro controls would work perfectly in a new entry in the series, kind of like Twisted. You don't need to reinvent the wheel here, just make a new WarioWare game that's fun! Game & Wario was a letdown that strayed from the original formula. But the rest of the series is fantastic. All this article did was remind me how sad I am that no new WarioWare game has come out on 3DS. DIY is easily my favorite in the series. I have no idea how much time I spent making microgames, but it had to be a lot! It helped teach me some programming basics too, and while I've since moved on to a bit more advanced things, (Like Petit Computer) I still occasionally go back to DIY to make another microgame. Plus, I use the music editor for a few things too. I've recreated a few songs, and I'm making the music for the Future Pinball game I'm working on in DIY. Other than DIY, my favorite "normal" (If you can call any of the games that!) game in the series is easily Smooth Moves. Maybe it was because it was the first one I played, but I mean, it makes amazing use of the Wii Remote, most of the microgames feel totally unique, and the multiplayer games are amazing! Come on Nintendo, find a way of emulating Twisted on Wii U! I need it! Love this series... Fun fact: Weirdly enough, Touched actually came out before Twisted in North America. I really love WarioWare, it's honestly one of my favourite game series. my 3ds is yearning for some wario. I love Warioware! The micro-games are pretty fun. However, my favourite game is Warioware DIY for sure! I spent hours churning out wacky, wonderful games, usually involving some sort of silly premise. I also loved making the odd homage to various arcade games (none of which I ever managed to play in actual arcades, though)! Then, I discovered the online competition that was held monthly. I was selected about 5 times. which made me quite impressed with my game-making skills. It's part of what got me interested in programming more advanced programs on my computer. It's simply satisfying to make a program (here, a game), and have it work how one designed it. That's the simple joy of games like this! It's just a pity the competitions are no more after the servers were abandoned. I live in hope for a new Warioware DIY! The first Wario Ware is a legit top 5 portable release. Twisted is a shining gem. DIY is a game that should be played by all. Love this series. I remember playing these games with my older brother. I would love to see what they will come up with next. One of my favorite Nintendo franchises of all time, to be honest. I'd love to see WarioWare on the 3DS. The system is perfect for it! A stereoscopic screen, a touch screen, gyro controls, inner and outer cameras, augmented reality, NFC functionality, and more than enough buttons for a WarioWare game. Yeah this series is too good to let it vanish into obscurity. Game & Wario wasn't even half bad, I got it for my annual elite platinum Club Nintendo reward that last go around, because I had all the other full games on offer. Gamer is hilarious, but I enjoyed several of the other games as well. I can understand the complaints that it wasn't as good as previous Wario entries, so maybe it should have been like a 29.99 intro price and then 19.99 eshop game with occasional sales. Still, it's alright. I liked Smooth Moves a lot, and even the old GBA Mega Microgames gets a lot of play to this day on our 3DS virtual console. No reason not to make another Wario game eventually. I love the WarioWare series! My favorite game from the series is WarioWare D.I.Y. I made some microgames, but I usually played the microgames that came with it; they're so fun! Smooth Moves was really fun too, but D.I.Y. is still better, in my opinion. I hope a new WarioWare title comes out soon! Game & Wario was not a WarioWare game, regardless of what Nintendo says. How they thought something as genius as Smooth Moves and D.I.Y would translate to a lazy minigame collection is beyond me. Here's hoping the series continues soon, either Wii U or 3DS, doesn't matter, it will be epic. ...I kinda want another WarioWare, but at the same time...I also want a Rhythm Heaven DIY to happen.